A creative and fun idea to decorate your little one's light switches in their bedrooms! Are your children mad about dinosaurs? 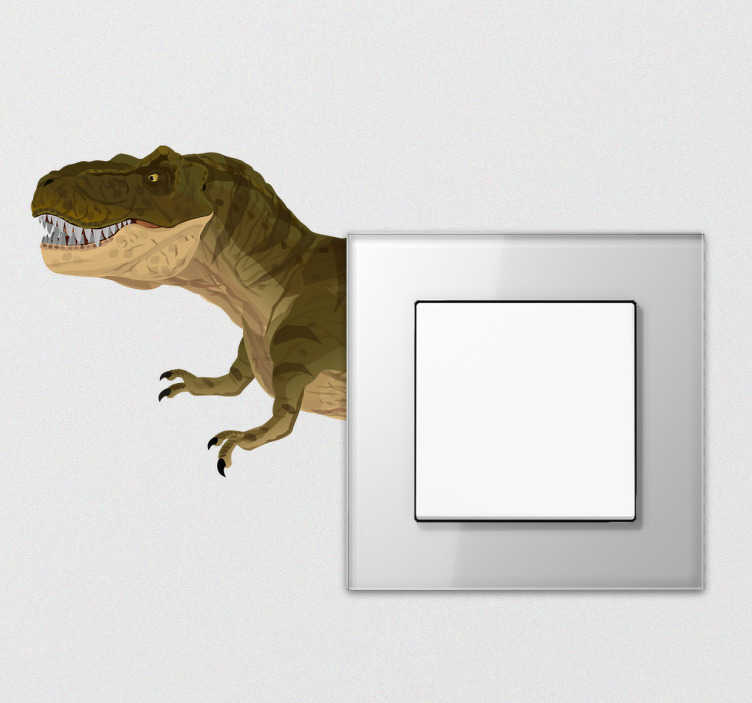 This triceratops sticker is ideal for placing around the light switches or plugs in their rooms to add a special touch that they will love! Ideal for completing a dinosaur themed bedroom in an original way. A simple silhouette design of this prehistoric creature with two large horns that roamed the Earth millions of years ago. Sizes indicated refer to the switch box itself. If you require other sizes please contact us at info@tenstickers.co.uk.